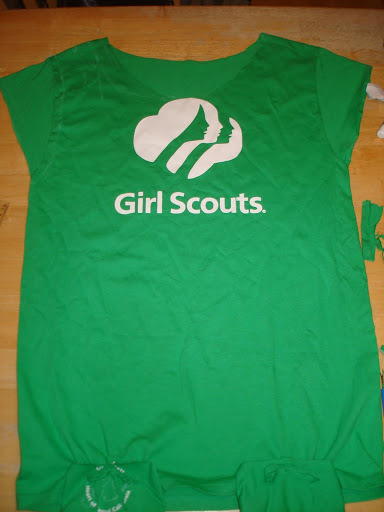 Hey Girl Scouts, I have a brand new design for you, inspired by 99 Ways to Cut, Sew, Trim, and Tie Your T-Shirt into Something Special. 1. Draw a line using tailor’s chalk, a washable marker or plain chalk from the armpit of your shirt to halfway down the sleeve. 5. 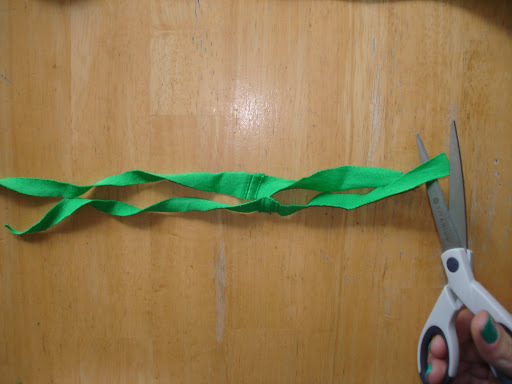 Cut the strip of fabric in half. 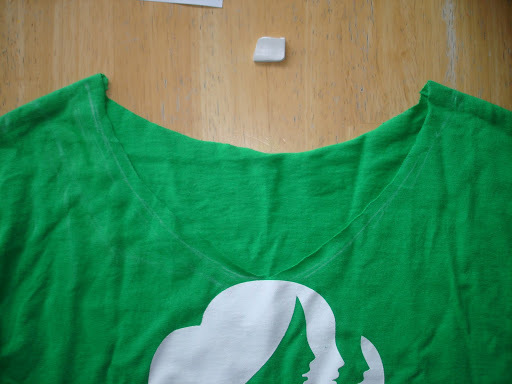 Fold each of those in half and sew them near the bottom of your shirt. 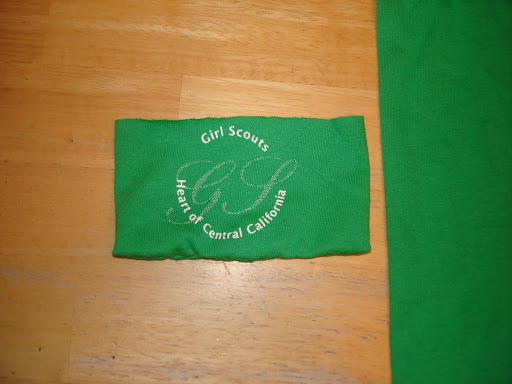 Sew it on straight or add a little design like I did- make it unique! You can use a machine or sew by hand. I chose to sew by hand to give it a home made look, but either way works just as well. 6. 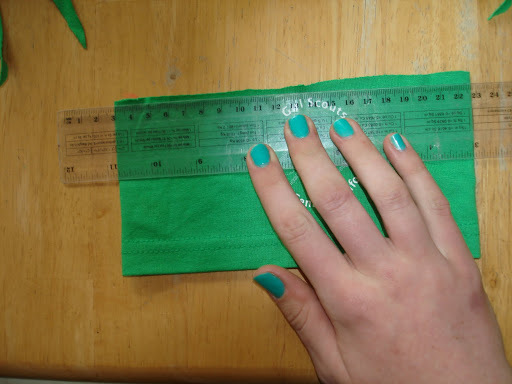 Take a sleeve tube and even out the top using a ruler to make the edges straight. These pieces will be used to make pockets on the bottom of your shirt, so trim the tube to the size you want your pockets to be. 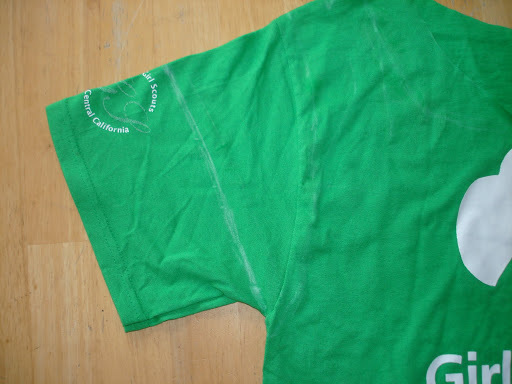 The amount of trimming needed depends on the size of the shirt, and your personal preference. 7. 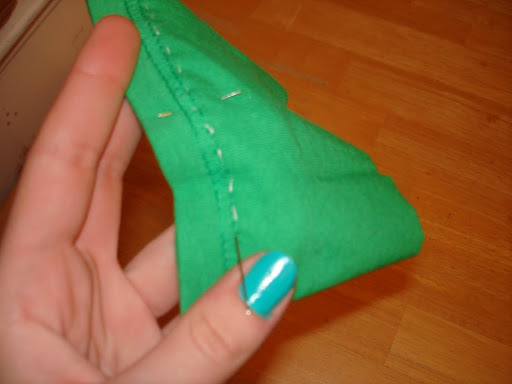 Sew the bottom and any trimmed sides together to make a pocket with the top open. 8. 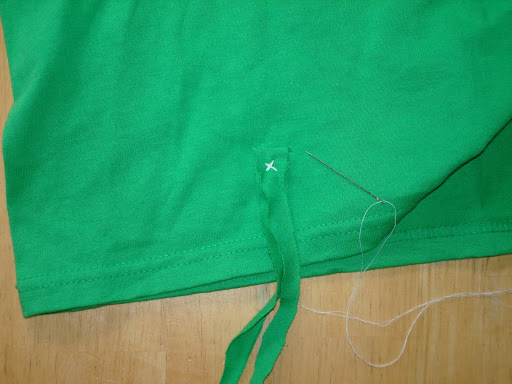 Carefully sew the pocket onto the bottom of your shirt UNDER where the strip of fabric is. 9. 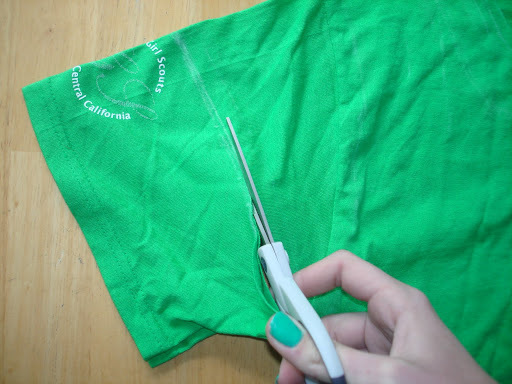 Do the same for the other sleeve tube and sew under the other strip of fabric on the bottom of your shirt. 10. 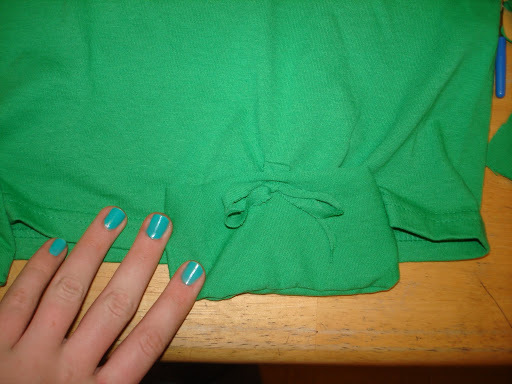 Cut a small hole in the front of each pocket to pull the strips of fabric through and tie a bow. But make sure it is not too big so your bow will slip through the hole. 11. 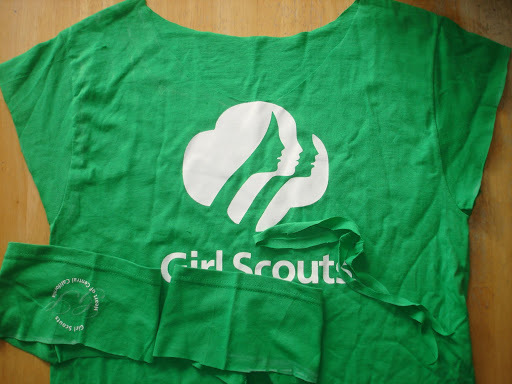 Clean up any rough edges and your shirt is ready to go!!! Previous Post Snow in May? Next Post National Emergency Responders Thank You Day!